They have only just learnt to walk and talk – and have only just started to develop social relationships with children of their own age. Yet, these tiny toddlers already use cues of social status to decide which people they prefer or would rather avoid. This has just been established by researchers from Aarhus BSS and the University of California, Irvine, through experiments carried out on toddlers aged 21 to 31 months. Previous research has shown that even nine-month-old infants can grasp a simple conflict of interest. When two individuals block each other's path, the infants will automatically assume that the largest person will defeat the smallest. 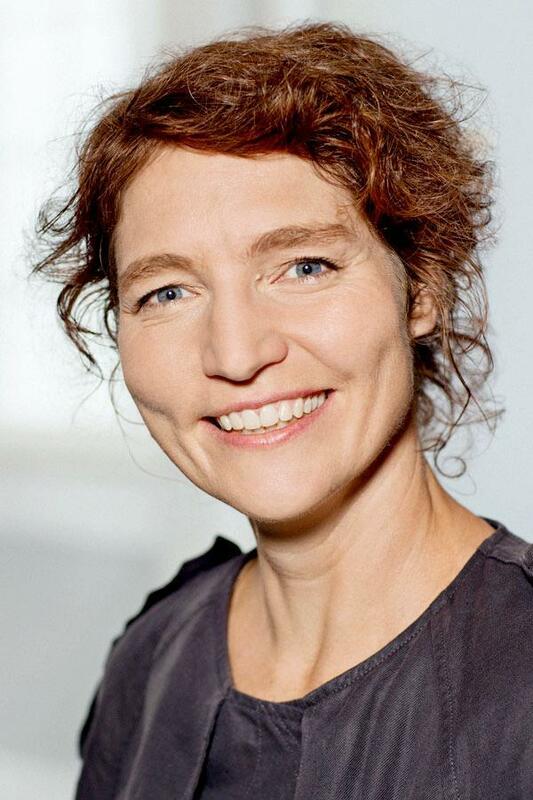 Lotte Thomsen, professor of psychology at the University of Oslo and associate professor at Aarhus BSS, and her colleagues, established this. Now researchers are taking it one step further by demonstrating how toddlers also themselves prefer to affiliate with the winners of these conflicts and avoid those who they have seen yield to others. The research results have recently been published in Nature Human Behavior in the article "Toddlers prefer those who win, but not when they win by force". "Across all social animal species, those with a lower social status will yield to those above them in the hierarchy. We wanted to explore whether small children also judge high and low status individuals differently." To explore this question, the researchers used the basic paradigm of Lotte Thomsen's previous research where two puppets attempt to cross a stage in opposite directions. When the puppets meet in the middle, they block each other's way. One puppet then yields to the other and moves aside, allowing the other puppet to continue and reach its goal of crossing the stage. Afterwards, the children were presented with the two puppets. 20 out of 23 children reached for the puppet that had "won" the conflict on the stage – the unyielding puppet. Thus, the children preferred the high-status puppet – the one that others voluntarily yield to. "Next, we wanted to explore whether toddlers would still prefer the winning puppet if it won by using brute force," says Thomas. The researchers exposed a new group of toddlers to the same puppet show, but this time one puppet would forcefully knock the other puppet over to reach its goal. Now 18 out of 22 children avoided the winning puppet and reached for the victim instead. In line with other social animals, infants thus prefer individuals who appear to have a high status – but only if their status is acknowledged by others and not if they retort to using raw physical force to get their way. Here toddlers differ from our closest primate relatives – the bonobo apes – who still reach for those who use physical force to get their way in similar experimental set-ups. The underlying logic of this kind of research is to explore the implicit, given rules and assumptions that humans use for understanding and navigating social relations: What are the shared expectations and basic motives that underpin our social interactions? "Our research shows that it's part of human nature to be aware of social status: Even nine-month-old babies assume that the largest person will win, and even 1 1/2 year-old toddlers seek out those whom other people yield to. However, in contrast to other primates, it's crucial for even the youngest human beings that others also acknowledge someone's social status or priority right. We're generally repulsed by bullies who brutally steamroll others to get their own way," Thomsen explains. This reflects the challenges of living in cultural communities where we depend on learning from and being protected by respected others to whom we defer because they have more competence, know-how, strength or resources to share, but where we must also reach solutions to conflicts of interest that will be acceptable to the majority of people. Long-term socialisation and experience with the ups and downs of social hierarchies and the people at their top – for instance with good and bad leaders – might account for such status representations and motives among adults. However, it is harder to see how preverbal infants and toddlers would have already acquired such motives through their own relatively short experience, especially with regards to the minimal experimental situations that the toddlers have not seen before. "Our results indicate that the fundamental social rules and motives that undergird core social relationships may be inherent in human nature, which itself developed during thousands of years of living together in cultural communities," Thomsen concludes.